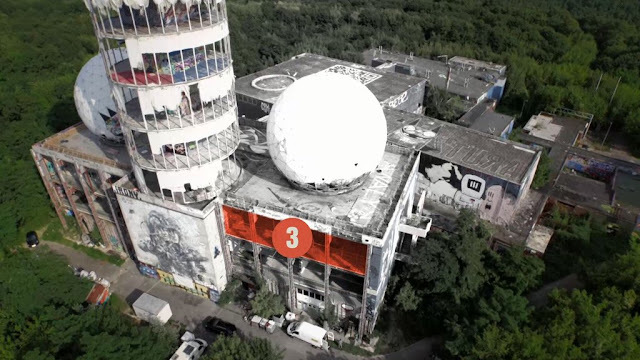 For Stage 1, the teams are at an old CIA complex in Berlin. This stage has four checkpoints for them all to complete. The major catch is that, before each checkpoint, everyone has to run a lap around the complex with a heavy bag (120 pounds for the guys, 60 pounds for the girls). After the teams finish each checkpoint, they get a token. The checkpoints themselves aren't terrible. It's the lap around the complex that kills everyone.They have to walk all along this trail in the woods, and it's terrible. Though they were in the lead at first, Cory and Mitch fall behind when one of the straps on Mitch's weighted bag comes off. They're a strong team, but will they be able to make up lost time? At the first checkpoint, Barrel Roll, the teams have to roll six barrels up a hill and stack them up. Pretty simple checkpoint, which Cara Maria and Jamie finish. However, another horrible lap with this weighted backpacks take a toll on Jamie. Brianna and Jenna, who only have 60 pounds, manage to pass them, getting the lead! On the second checkpoint, Flip Flop, the teams have to climb up a flight of stairs into a creepy building. Each person has to catapult a beer stein into a barrel some feet away. Every time you miss, you have to chug a beer, which are nonalcoholic thankfully. The teams won't be drunk, but they will be disgustingly full! Jenna and Brianna make it happen in decent time, leaving Cara and Jamie behind. Jamie finally makes his shot, but Cara is getting frustrated because she keeps missing and has to chug all of these beers now. She cries and complains, but finally makes her shot as well. Cory and Mitch manage to catch up here, but are still very far behind everyone else, unfortunately. The third checkpoint, Block Head, is a puzzle! The objective is to arrange these three-dimensional blocks flush against the board with no spaces showing. Jenna and Brianna are still in first place, and knock this checkpoint before the other teams even get there! I really can't believe that they're in the lead and are doing so well! The other teams are still putting in work, doing the best they can, but have a lot of time to make up. During the fourth checkpoint, Don't Get Tired, each team has to stand on two tires to travel across the room. If your feet touch the ground, you have to start all over. It's a very slow and steady checkpoint, and Jenna and Brianna have to start over once, Cara Maria and Jamie manage to get to the checkpoint, and see Jenna and Brianna, but the girls are still pretty far ahead of them. Jenna and Brianna keep working well together, and finish the first stage first! Eventually Cara and Jamie, as well as Cory and Mitch manage to finish, though no one knows at this point what their times are. Unfortunately, the laps around the complex really had an impact. However, this is the Final, so it's supposed to be tough. This entire episode only went through ONE stage. There are FOUR more, and there's no clue what's going to be next! Because this is a timed event too, this is still anyone's game! The teams are headed to a new location within the city, and I'm excited to see what they have to do next week! 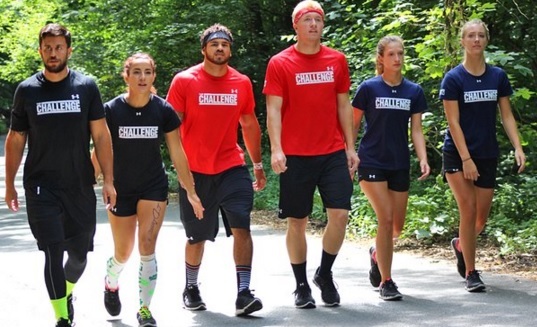 The season finale of The Challenge: Battle of the Bloodlines nairs ext Wednesday at 10 p.m. only on MTV!